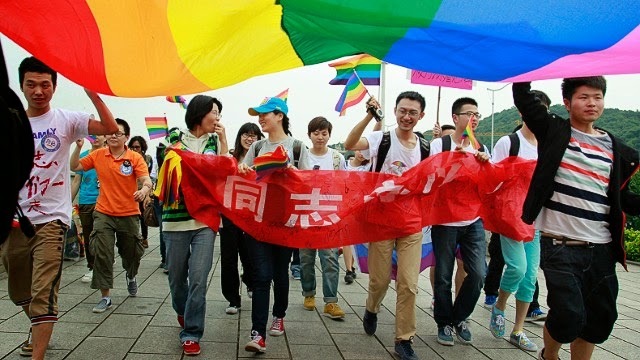 In a new study, findings suggest acceptance of homosexuality has risen in 90% of countries surveyed over the last 20 years. Social researchers at NORC at the University of Chicago and the LGBT think-tang Williams Institute at UCLA said acceptance has grown by an average of 0.9% annually by nation. Andrew Park, director of International Programs at the Williams Institute, said: "This study shows a clear trend toward increasing acceptance across the globe". Looks like the world has become a far more acceptable to be gay. Why I am not so optimist about that? The map seems very "off" to me. 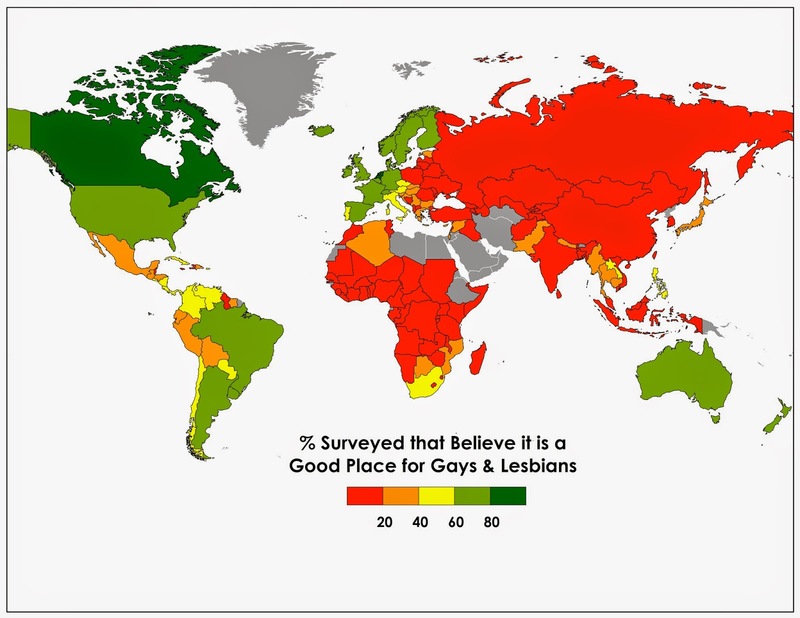 For example, Pakistan is one of the most dangerous places in the world to be an LGBT person -- yet it is given the same orange rating as Thailand, one of the most tolerant and friendly countries in the world for lgbt people -- with a thriving gay scene. Israel, where 70% of the population supports gay rights, and with the booming gay scene in Tel Aviv, has the same rating as Syria (orange) where being openly gay will get you killed just about anywhere. There are no gay bars or cafes in Cuba -- none, and until recently, being gay was a crime -- yet it is rated ahead of Mexico, which has a thriving gay scene in many cities and has marriage equality in some areas. Poland is a member of the EU and has protections on the books for lgbt people -- with the age of consent being 15 for decades. It is a conservative country, but no way should it rate the same as bigoted Russia. The Czech Republic only rated yellow, yet the Czech people in surveys are very accepting of gay people -- and Prague has some of the est nightlife around. The map is not right-- (it even conflicts with their own published numbers) -- they need to watch what they publish.